The Department of Labor has spent a good part of 2015 trying to revise the regulation of advisers that provide investment advice to our retirement plans. Specifically, DOL wants to expand inclusion of these investment advisers as "fiduciaries" under ERISA, the landmark law passed in 1974 to regulate retirement plans. "Fiduciary" responsibility means that the client, and not the business interests of the provider, comes first. It sounds so sensible and noble; how can anyone not think this is a good idea? A "fact sheet" issued from the White House in February 2015 sums up the whole issue as seen by the Obama administration. The headline: "Strengthening Retirement Security by Cracking Down on Backdoor Payments and Hidden Fees." The "fact sheet" (so called, despite that it really expresses opinions and not facts) said, "Today, the rules of the road do not insure that financial advisers act in the best interest of their clients when they give retirement advice, and it's hurting millions of working and middle class families." "A system where Wall Street firms benefit from backdoor payments and hidden fees if they talk responsible Americans into buying bad retirement investments — with high costs and low returns — instead of recommending quality investments isn't fair," the report stated. "Today, the President called on the Department of Labor to crack down on Wall Street and protect families from conflicted and bad retirement advice. DOL will move forward with a proposed rulemaking that would require retirement advisers to abide by a 'fiduciary' standard — putting their clients' best interest before their own profits." DOL subsequently issued proposed new rules and a sea of comments and opposition from industry and various policy groups ensued, and this process will continue into next year. One can't help but think of President Reagan's famous quote that the nine most terrifying words in the English language are "I'm from the government and I'm here to help." The Obama administration's left-wing spin distorts the truth of capitalism and free markets that have made our nation great. Free markets and competition bring the best, cheapest, and most innovative products to markets to serve the interests of consumers. Things get messed up when we give power to bureaucrats who pretend to know better than free markets. The "fact sheet" from the White House last February likens these proposed new regulations in the retirement market to how government allegedly saved the nation in the recent financial crisis. "During the financial crisis, we saw the devastation caused on Main Street when outdated policies let lenders steer their customers into bad mortgage products," says the White House "fact sheet." But, contrary to what we have heard constantly from our president, government drove that crisis, not business. It was government that forced lending institutions to make the kinds of loans that politicians wanted them to make and government that propped up the whole scheme by guaranteeing it all through U.S. taxpayers. 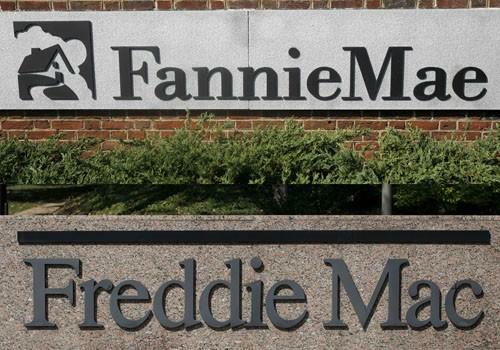 In fact, the institutions — FHA, Fannie Mae, Freddie Mac — and the policies that led to the meltdown are still in place. As the American Enterprise Institute's Edward Pinto writes: "Government programs to make mortgages more widely available to low-income and moderate-income families have consistently offered overleveraged, high-risk loans that set up too many homeowners to fail. In the long run-up to the 2008 financial crisis, for example, federal mortgage agencies and their regulators cajoled and wheedled private lenders to loosen credit standards. They have been doing so again. When the next housing crash arrives, private lenders will be blamed — and homeowners and taxpayers will once again pay dearly." The market for advice in retirement services is already highly regulated. If consumers are not getting the best possible products, this is the reason, not because we don't have enough regulations. To help consumers, look for ways to make the retirement products market freer and more open, not more regulated.